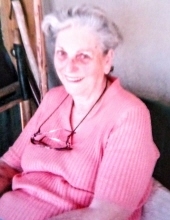 Barbara was born on January 27, 1931 to Arrenva V. Backle in Longview, Texas and passed peacefully in her home in Big Sandy, Texas on February 4, 2019 at the sweet age of 88. She married the love of her life Everett Nelson Holloway Sr. on November 25, 1948. Barbara was a beautician, a seamstress and Home maker, she was a devoted wife and mother and loving grandmother and great grandmother. Mrs. Holloway was a member of the Pritchett Church of Christ. Most days you could find her spending time with her best friends Wanda and Maxine as well as the ladies of the Pritchett Quilting Club. She is preceded in Death by her HUSBAND Everett Nelson Holloway Sr., GRANDSON Everett Boyd Holloway and GRANDDAUGHTER Arrenva Grace" Rennie" Holloway. Surviving grandchildren are Beth Pierce and Spouse Michael, Son Robert; Bill Holloway and Spouse Pam, and children Preston and Sarabeth; Josh Holloway and Spouse Melissa and daughter Kylie( all of Canton, Texas) also Granddaughter Amber Laure and Spouse Robert with children Angel, Michael and Brody;( Elkhart, Kansas) Grandson D.J. Holloway and Spouse Beth with Children Robert Palin Jr and Kaitlyn Palin (Emory, Texas) also Great Grandchildren Shannon Cook and Spouse Jared (Fruitvale, Texas) and Cheyenne Mason and Dean Mason (Wills Point, Texas) . A graveside service will be held at the Pleasant Hill Cemetery Saturday February 9th at 2pm. With Brother H.L. Shirery Officiating under the direction of Croley Funeral Home from Gilmer, Texas. In Lieu of Flowers, The family has requested that a donation be made to the Charity of your choice in her Memory. To send flowers or a remembrance gift to the family of Barbara Oillene Holloway, please visit our Tribute Store. "Email Address" would like to share the life celebration of Barbara Oillene Holloway. Click on the "link" to go to share a favorite memory or leave a condolence message for the family.